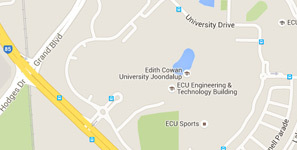 Professor Steve Chapman commenced his role as Vice-Chancellor and President of Edith Cowan University (ECU) in April 2015. Prior to joining ECU, Professor Chapman was Principal and Vice-Chancellor of Heriot-Watt University from 2009, and Vice-Principal at the University of Edinburgh from 2006. In 2001 he received the Interdisciplinary Award of the Royal Society of Chemistry, for his ground-breaking work at the interface of Chemistry and Biology. He has published over 200 scientific papers in prestigious journals and has given numerous Plenary Lectures at International Conferences. Professor Chapman was one of the founders of ScotCHEM, the research "pooling" exercise in Chemistry across Scotland. Among his board and committee memberships while Vice-Chancellor of Heriot-Watt University, Professor Chapman chaired the Funding Policy Committee of Universities Scotland, and was member of the Board of the Universities and Colleges Employers' Association. Professor Chapman holds the degrees of Bachelor of Science and Doctor of Philosophy from Newcastle University. In 2005 he was elected as a Fellow of the Royal Society of Edinburgh and a Fellow of the Royal Society of Chemistry. He received the Honorary Degree of Doctor of Science from the University of Edinburgh in 2011. In 2016 Professor Chapman was appointed a Commander of the Order of the British Empire (CBE) for his services to higher education.